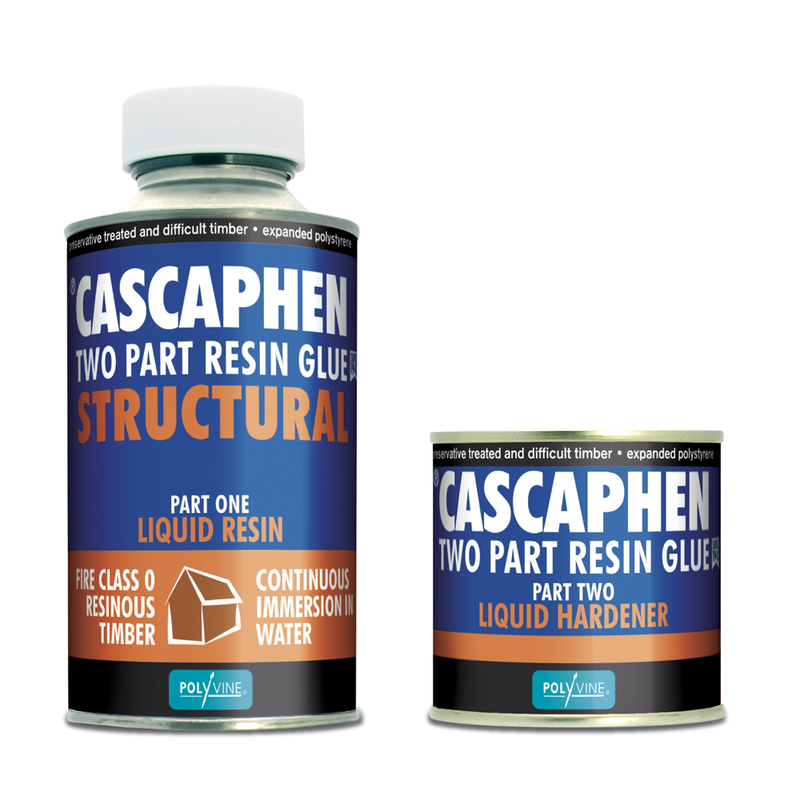 This super-professional, two part glue has been specially developed for waterproof exterior use and can stand continuous immersion in water. This glue is so waterproof - boat builders use it. Developed for the marine industry this is the only completely waterproof adhesive that will withstand continual immersion in water. Mixing: By weight - 100 parts of resin to 15 parts of hardener. Liquid working life: After mixing, the glue mix commences to thicken but will stay usable for between 30 minutes at 30 degrees C and 4½ hours at 10 degrees C. Higher temperatures will shorten the working life, lower temperatures will prolong it. The mixed glue should be applied to one or both surfaces, which should be brought together while the glue is still wet. Spreading both surfaces permits longer assembly times. The two surfaces must be held under pressure (by clamps, screws, pins etc.) until the glue sets (normally overnight). For best results, the glue should be allowed to set at normal room temperature (15-25 degrees C / 59-77 degrees F). Very low temperatures will slow the setting time of the glue and should be avoided. Cleaning tools and equipment: When set, there is no known solvent for Polyproof glue. Liquid glue may be removed from tools and containers by washing in warm soapy water. Protection of the hands - resin glues can cause dermatitis. A wet swab should be used frequently to prevent the glue from setting on the hands. Store in a cool, dry place with the lids tightly closed. The above information is believed to be correct but does not purport to be all inclusive and shall be used only as a guide. This company shall not be held liable for any damage resulting from handling or from contact with the above product. Dispatch: Orders are dispatched on the next working day after your order is placed. The orders are then sent on a next working day service. There are no weekend deliveries. Deliveries outside mainland UK may take longer. Faulty products that are deemed to be manufacturer error will be accepted free of charge. A 10% re-stocking charge will be made on returned items that have been refused delivery by the customer.